Ok, I usually post about stuff that can be useful where ever you are on the planet, but I'm making an exception. What the heck, this my blog after all! 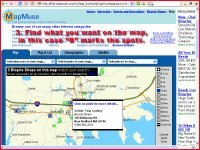 Anyways, I came across this great website that permits you to find anything on a map, in the US. I mean not just businesses, but clubs as well! 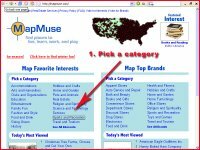 The site is mapmuse.com and permits you to find stuff and presents it to you on a map interface. This is great if you plan to go somewhere and want to know what is around the area that you will be visiting. It's also good if you want to know what's available around you if you live in the United States. It's pretty simple to use. 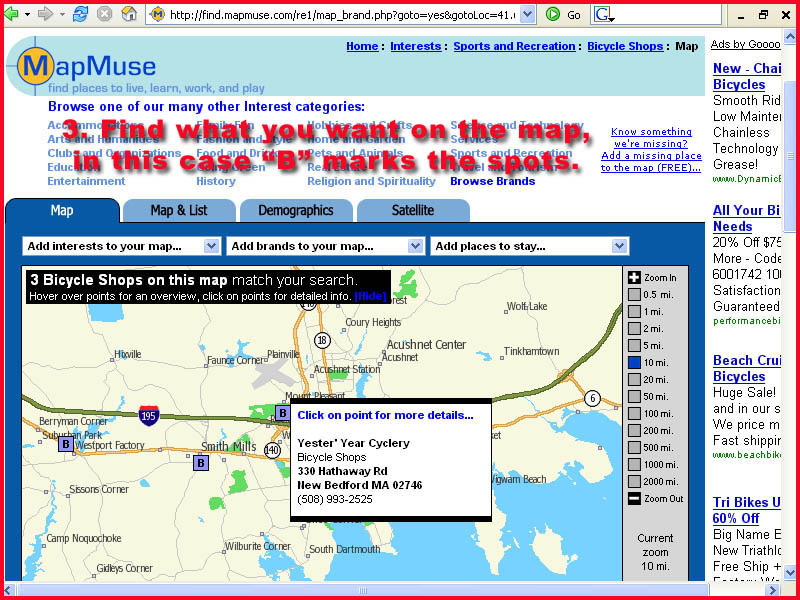 Not having a map of Canada available on the site, I decided to find a bikeshop owned by distant relatives in New Bedford Mass. 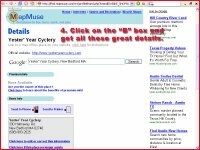 I went on the site and bicycle shops where already listed in the "most viewed" list. That's too easy and there is no garanty that bike shops will always be on that list. So I decided to see if finding the bike shop was easy enough the hard way. It was. 1. 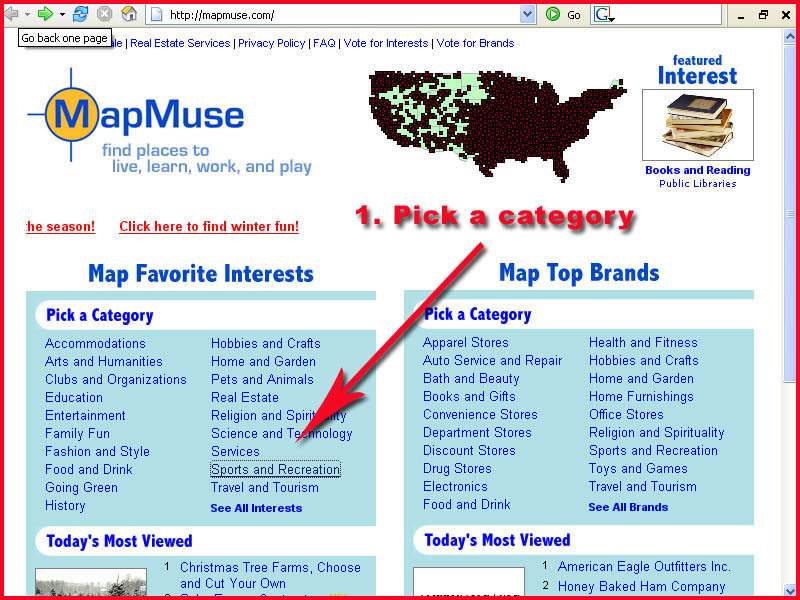 Click in the "Sports and recreation" category and "bike shops" is the second one on the list. You will also notice that "cycling clubs" is on that same page in the 7th position. 2. 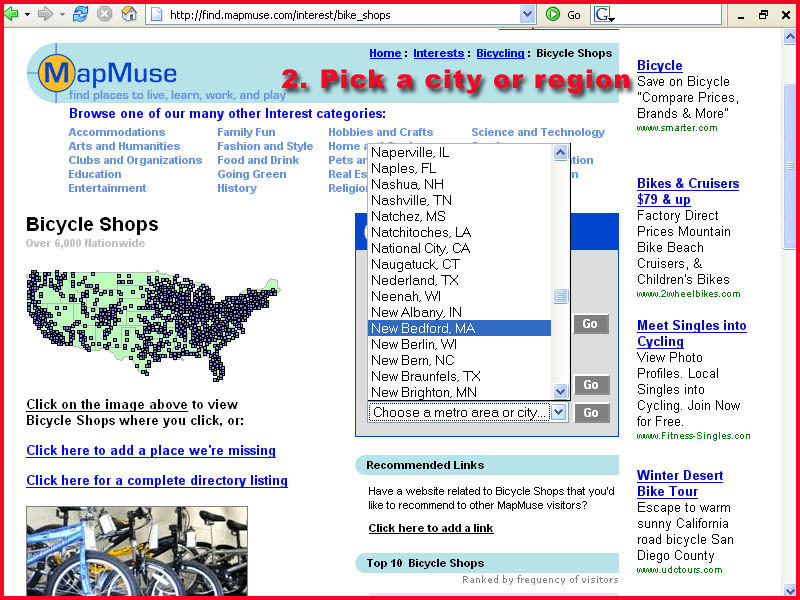 Once you have clicked on "bike shops" it will show you a map of the US and will give you a few choices to do your search. You can search by address if you have that information, by region/state or by city/metro area. In this case, I clicked on New Bedford MA. 4. 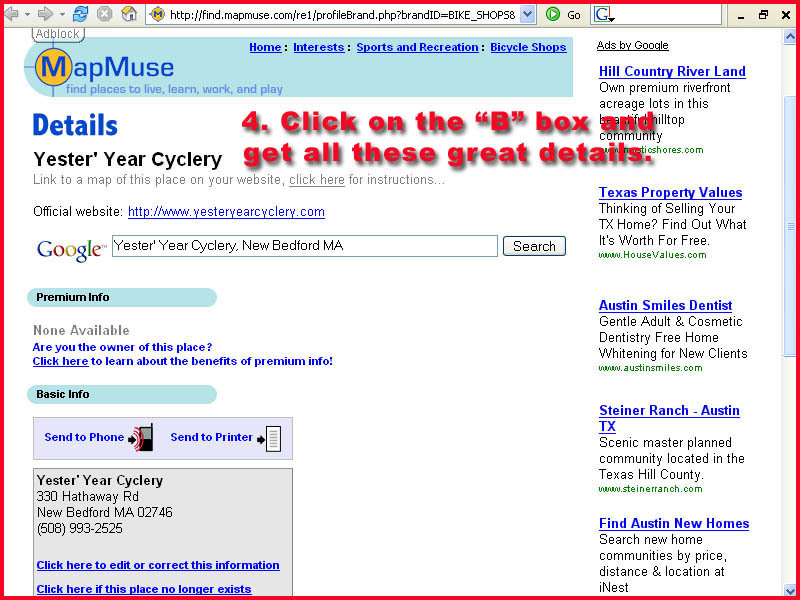 Click on the "B" box and you will get all the information related to that location.